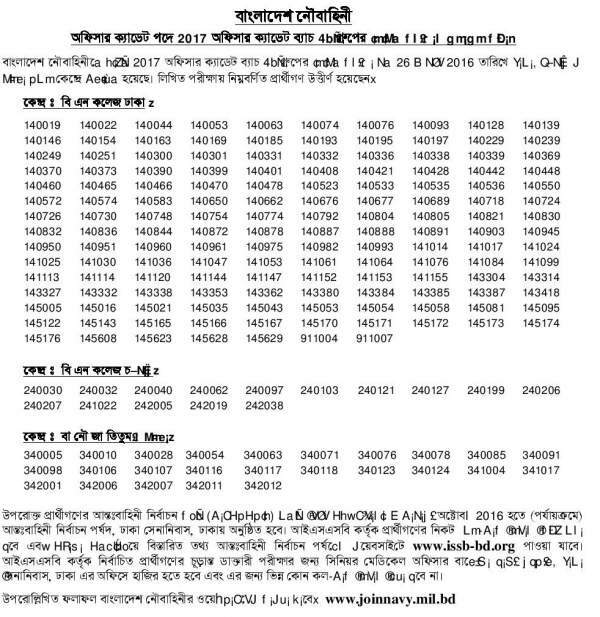 Bangladesh Navy Written Result published today at joinnavy.mil.bd . You can also check this result on my website there is ejobscircular.com . Download you 4th Group Written Exam result September 2016. Hope You see your Bangladesh Navy Jobs written Examination result. For Get All job results Stay with us. Thank you. This entry was posted in Ittefaq, job results and tagged jobs Results by ejobscircular. Bookmark the permalink.